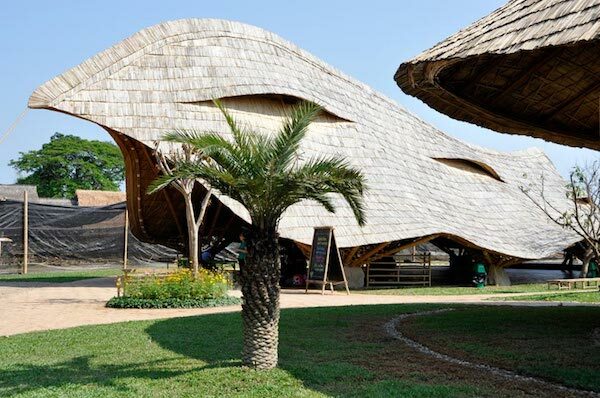 Delightful modern architecture of eco-friendly materials in Chiang Mai. 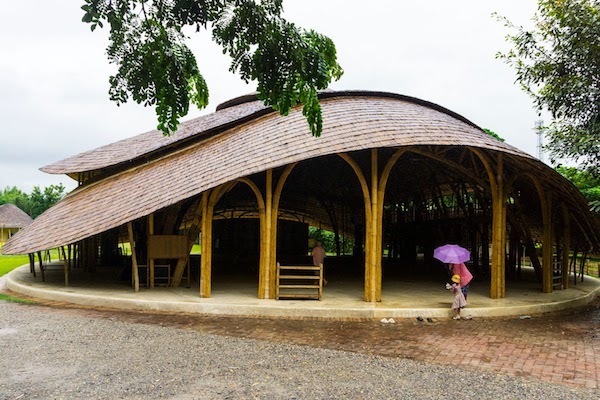 As it turned out, it is possible to build from bamboo not only small huts, but also entire educational campuses. 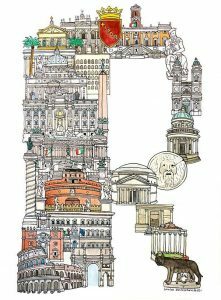 Japanese artist Hugo Yoshikawa tackles an impressive feat in his City ABC series. 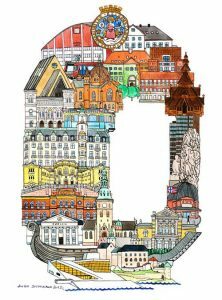 His hand drawn illustrations feature a different city for every letter of the alphabet. 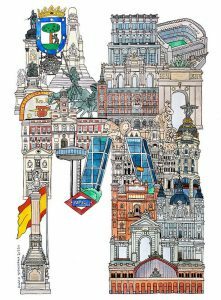 Each letter is comprised of famous monuments from each given city. 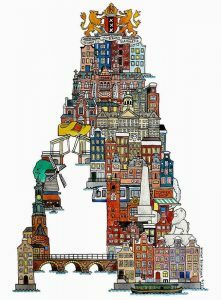 You can view the entire City ABC series on Yoshikawa’s website. This stunning work of architecture by Zaha Hadid Architects is the The Riverside Museum in Glasgow. It houses Scotland’s new museum of transport and travel. Lately. I’ve been thinking about building my own bike. I think it could be a fun project collecting parts and eventually crafting my own ride. If I lived in the New York area, I can say I’d absolutely take advantage of the Bamboo Bikes Studio. The weekend-long workshop guides you through building your own bike, from bamboo nonetheless. For some people the first image to pop into their heads at the mention of color is a rainbow, for me it’s stained glass windows. I especially love the two featured above. The first is by German artist Gerhard Richter who created the window to replace the cathedral’s original, which was destroyed beyond repair in WWII. The second window is from the Thanksgiving Square Cathedral in Dallas, Texas and was photographed by flickr user shawnoconnell23. Having grown up in the Chicago suburbs I’ve seen, at least from the exterior, several Frank Lloyd Wright homes. It goes without saying that his impact in architecture is measureless. I was quite excited when I read that Copeland Furniture has been commissioned by the Wright Foundation to reproduce many of his original furniture designs. I’d find it hard to find a home, of any style, that his timeless designs would not compliment. 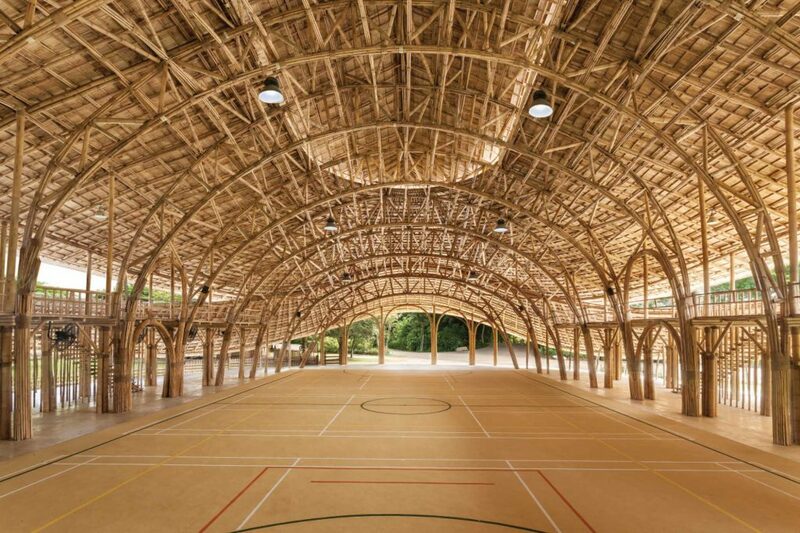 Every year the American Institute of Architects recognizes outstanding works of architectural achievement with their Honor Awards for Architecture. They have announced this year’s nine honorees and have have a great photo slide show to coincide. Speaking of collages, Laura Kicey who also happens to be Etsy user Helveticaneue has a dazzling set of photographic montages in her Construct series. She digitally altered photographs of architecture collected over the years to create gorgeous images. I abosulely love them! After receiving a record player last year for Christmas, I’ve spent the past eight months hopping from one record store to another in pursuit of building up my collection of vinyl. Paul Mawhinney is a man I should be taking notes from. He holds the title as owner of the world’s largest vinyl record collection. 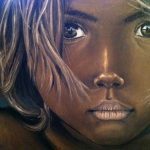 This short documentary features his story.